Check here and the headlines on the CMAC home page for announcements of coming activities. In support of our top student athletes in CMAC, the Crystal Mountain Founders Club has dedicated $8,000 to the CMAC Scholarship Program for the upcoming 2018-2019 season. This year’s scholarship program is based on merit and CMFC will award up to 4 scholarships using performance based criteria. To learn more about this new program or to apply, click here. Great News: the equipment rules have only changed for the better this year! Our FIS men will benefit from the much nicer 30 Meter GS skis, and our U16s will benefit from LOTS of 195/30 Meter skis becoming available as SG skis for super reasonable prices. And the best news of all for U16 is that we have some of the 195/35s available in the Speed Pool for your use! 2nd year U16 and FIS guys should try both 188 and 193 lengths of the 30 Meter skis (if possible) this Summer. The 188s will be softer, while the 193s will offer more sidecut, stiffness, and stability. Check out the full ski length guide here. Special pricing for using the new CMAC Logo! The entire race is available as well as every race over the past 10+ years. Remember, I batch process all images in “auto” mode, any images you order will be custom color corrected, balanced, and cropped (I will “zoom in” on distant racers to fill the image with them). Images shown are in 8x12 format. 8x10 and 5x7 prints will be less wide but visually balanced and cropped. As always 100% satisfaction guaranteed! Please feel free to call, text, or email with any questions or specials, though up here in Greenwater, email is most reliable. The Scholarship Program has been in existence for 12 years, starting in the winter of 2003, and took a one year hiatus for the 2013-14 season. A total of $7,000 in scholarships will be awarded solely towards CMAC tuition expenses for each recipient. The program will be restricted to CMAC racers in the U16, U18 and U21 age categories for the 2015-16 ski season. The application form is available here. The deadline for applications to be postmarked is May 1, 2015 with awards announced July 1, 2015. For any questions, please contact Maureen Hammond, CMFC Scholarship Chair at Maureen@crystalfoundersclub.com. The supporting role you play in your child’s ski racing enjoyment as success cannot be understated. It is an admittedly difficult task to understand all the ins and outs of the sport, from the best ways to develop young ski racers to selection methods, choosing which races to go to and knowing what equipment to buy. While the list of questions is long, the time to get them answered is often short, and that is why we are offering free parent webinars for USSA parents to learn how to better support your child while gaining a better understanding of ski racing. A webinar will be offered for each region, so that you can ask questions specific to your area and get the answers you need. USSA Sport Education Director Jon Nolting will talk about sport parenting and ski racing development, and your regional alpine staff will give an overview of the programs in place in your area for your skiers. This will be followed with time for Q&A. Can’t make the live webinar? They will be recorded and made available online afterwards. To join the webinar live or view the recorded versions go here. We hope you’ll join us! If you have any questions, please contact USSA Sport Education. 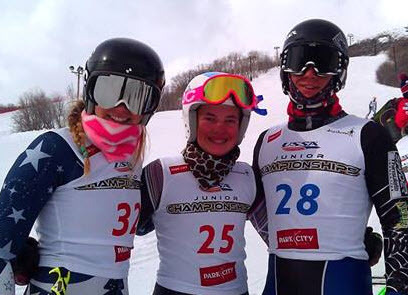 Congratulations to Alex Oseland, Katie Hensien, and Tyler Ellis who qualified for the U16 National Championships! Way to go!! Order your CMAC uniforms and other Karbon gear for the 2015 season NOW! Order your CMAC uniforms and other Karbon gear for next season through March 28. CMAC has a very large group headed to Squaw for the Western Champs. Congratulations! As this last week unfolded, the final tally was in for Junior Olympics. 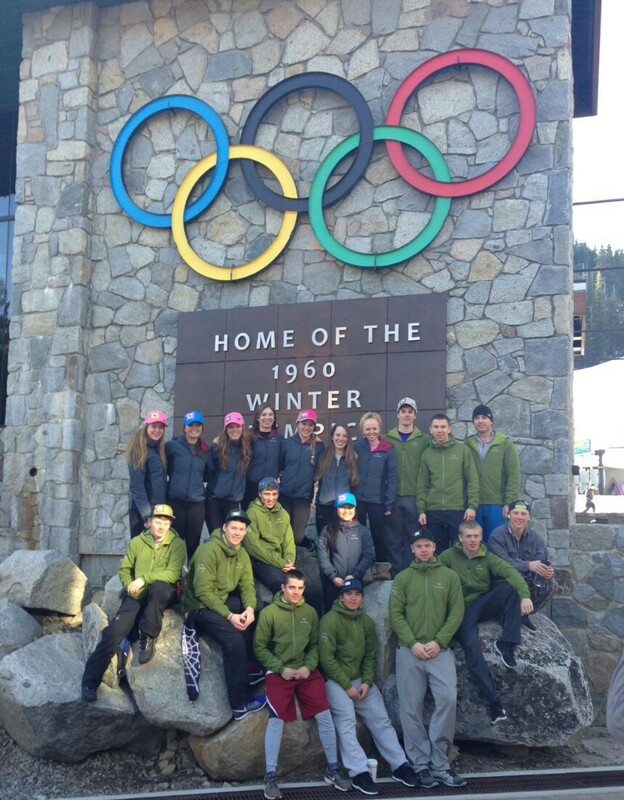 Our strong CMAC team will be sending 13 kids to the U16 Junior Olympics in Jackson Wyoming. We have a very strong group of kids just outside the JO team that is improving quickly. I expect many of these kids to move in to the Junior Olympic level of skiing by next season. CMAC is on the move! I also think our kids have a strong chance to score podiums, top 10's and top 20's at the JO's! The Crystal Mountain Founders' Club Board of Trustees has approved going forward with resuming the CMAC Scholarship Program for the 2014-15 season. The application form will be available to download beginning early February 2014 on either the CMFC (http://www.crystalfoundersclub.com/) or CMAC (http://cmacskiracing.com/) websites. The application deadline will be May 1, 2014. To request further information, please contact Maureen Hammond, CMFC Scholarship Chair (Maureen@crystalfoundersclub.com). UPDATE 2/14/2014: the application form is now available. Download it here.